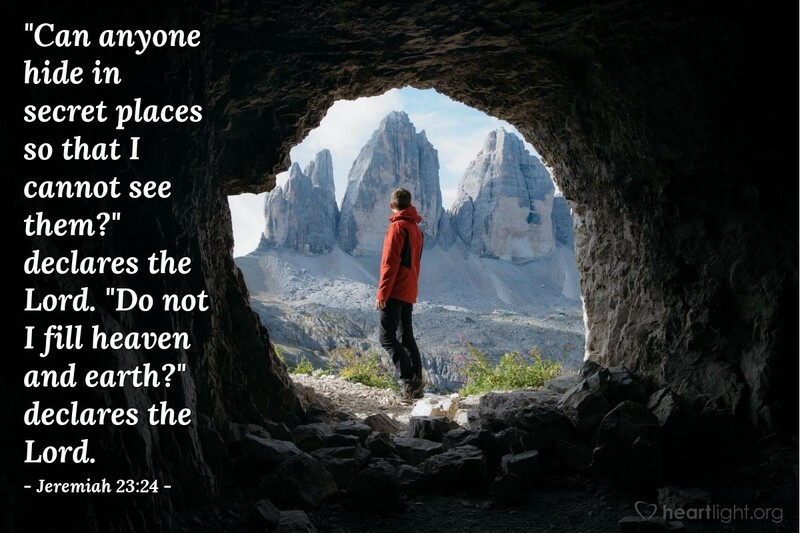 There is no hiding from God, but for those who willingly and joyously seek him, there is comfort, power, and hope in knowing his presence is ever with us. El Shaddai, God of the Mountains, be my source of strength as I seek your presence. I acknowledge your presence in all I do and everywhere I go. Please, don't just keep blessing me, but use me to bless others in your name. In Jesus' name I pray. Amen.